When Your Doctor Might Say No To Travel? Is It Safe To Travel In Train During Pregnancy? The journey could be for work, pleasure, a family occasion or an emergency, but if it is unavoidable, what must you do? Do you suddenly need to travel during your pregnancy? Are you in a dilemma, not knowing if it is recommended or not? Well, the golden rule is that since every pregnancy is unique; consult your doctor before making this decision. Only the doctor alone knows how much at risk you and your baby are and what mode of travel during pregnancy will suit you the best. It is important to consider the risks associated with travelling during pregnancy, and you can best understand it from your doctor. If he/she says you have some complications and asks you not to travel, then please don’t. If you had a miscarriage in the past or anyone in your family experienced miscarriage, you need to be extra careful. You might not be able to prevent a preterm labour because it is difficult to detect it, but you can surely ensure a healthy and safe pregnancy. Other than having a healthy diet and taking pre–natal care, you have to restrict heavy exercise and travel during the pregnancy. You need to meet your doctor more often for physical examination and tests to see the status of your pregnancy. You need rest if you want a healthy baby. You also need to take preventive medications like weekly shots of a type of progesterone hormone called hydroxyprogestrone caproate (Makena) during the second trimester. Also using vaginal progesterone gel during the second and third trimesters can reduce the risk of preterm labour, especially in women with a short cervix. So it is important not to miss your weekly shots and your visits to the doctor. So travelling is definitely not on the list. Twins and triplets are usually born early so it is important to talk to your doctor midwife about the birth options. If you are due to have multiple pregnancy it is important to take special care. Generally twins and triplets are born before 38 weeks; more than half of all twin pregnancies go beyond 37 weeks. Nearly 75% of triplets are born before 35 weeks. So naturally your doctor will say not to travel in this delicate condition during the third trimester. Since you can enter into labour anytime and it is best to take the precautionary measures, stay home and take rest. If you develop high blood pressure or hypertension during pregnancy it is important that you take precautions and enough rest. Since, high blood pressure can cause complications during delivery. Generally, high blood pressure occurs during conception or during the pregnancy. High blood pressure during pregnancy poses various risks like decreased blood flow to the placenta. Thus the fetus is deprived of oxygen and nutrients necessary for development. This is a reason behind low birth weight. High blood pressure can cause placental abruption or separation of placenta from the uterus wall. This is a serious condition since it can cause heavy bleeding in the mother and deprive the fetus of oxygen. Some high pressure can trigger premature delivery to avoid all life threatening complications. If the women develop preeclampsia and high protein content in the urine after 20 weeks of pregnancy then there is a high chance that she will develop cardiovascular disease later in life even if the pressure comes back to normalcy after pregnancy. Chronic hypertension generally begins before pregnancy and lasts more than 12 weeks after delivery. Gestational hypertension develops 20 weeks after pregnancy is detected. It is temporary and it disappears after delivery. 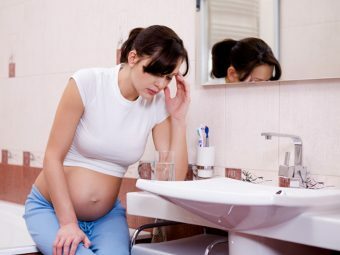 Sometimes both chronic and gestational hypertension can cause preeclampsia; it is a serious condition that can cause life threatening birth complications. If you have constant headaches, blurred vision, abdominal pain in the right side, sudden weight gain and edema or swelling or hands and feet it is a sure sign of preeclampsia and it needs immediate medical attention. It is best to take rest and keep a calm mind of you are suffering from hypertension. Rule out all travel as rest and maintaining good health should be the priority. Travel will tire you out and may further complicate situations. If you are suffering from placental abruption, this means the placenta detaches itself from the uterine wall suddenly posing danger to both mother and baby. Also placenta praevia or low lying placenta can block the mouth of the cervix; this is also a serious pregnancy complication that needs to be resolved. The woman experiences heavy bleeding if she suffers from either placental praevia or placental abruption. So it is not a wise idea to travel in this delicate condition and subject oneself to more discomfort. Placental disruptions pose a risk to both fetus and mother’s health so it is important to stay at home and take rest and medications. So you need to concentrate on the treatment of these conditions. If a woman develops diabetes during pregnancy it is termed gestational diabetes. 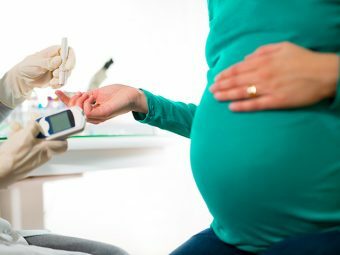 Nearly 2-10% of pregnant mothers develop diabetes or high blood sugar. Generally the food we eat gets broken down into glucose, the insulin produced by the pancreas helps to use the glucose as fuel to run the normal body process. What if the pancreas does not produce enough amounts of glucose or the cells in the body can’t react to the insulin then glucose remains unutilized in the body and automatically raises the levels of blood sugar. The hormonal changes in the body make the cells less responsive to insulin thus increasing the risk of gestational diabetes. Even if you have not developed gestational diabetes and you have a family history of diabetes then you need to be extra careful. Since diabetes during pregnancy can cause birth complications.So avoid travelling if you have gestational diabetes since you need enough rest. There is no definitive cause behind incompetent cervix. It can happen due to uterine or placental abnormalities, extensive cervical biopsy, exposure to drug DES and previous childbirth can weaken the cervix. A weak cervix further increases the risk of complications during delivery. It is important to get an immediate medical assistance and take medications if necessary. It is vital to take bed rest if you have incompetent cervix. Generally incompetent cervix is diagnosed by manual examination or vaginal ultrasounds. Nearly 20-25% of pregnancy gets terminated due to incompetent cervix during the second trimester. If the cervical opening is more than 2.5 cm and if the cervical length has shortened to 20mm then the doctor will write it off as incompetent cervix. The funneling of cervix is also a sign of incompetent cervix. If you suffer from incompetent cervix you will experience heavy discharge and feeling of heaviness in the pelvis. This happens when a dilated cervix feels the pressure exerted by the bag of waters. A dilated cervix doesn’t cause pain unless there is a rupture in the membrane which triggers the onset of labour. When the bag of waters crosses the birth canal it protrudes out of the cervix. This is serious condition and is often undetected until premature labour or birth takes place. So it is best to avoid travel during the third trimester to reduce the risk of preterm labour and premature birth. You can’t actually prevent it really but can ensure a safe pregnancy by taking adequate rest. Heavy vaginal bleeding can happen throughout pregnancy. Though spotting is normal in the first trimester but it is not same as vaginal bleeding caused due to placental complication and intrauterine birth. If you are already experiencing bleeding during pregnancy it will be prudent to drop the idea of a holiday and a long distance travel. If you are experiencing bleeding and discomfort due to preeclampsia and intrauterine or ectopic pregnancy it is not safe to travel at all. When the embryo implants itself on the walls of the fallopian tube or pelvic cavity instead of the uterus or womb then ectopic pregnancy occurs. Ectopic pregnancy can cause a rupture of the fallopian tube and that can be life threatening for both the mother and the baby.Also if the mother suffers from preeclampsia along with ectopic pregnancy, then it is a serious condition and total bed rest is advised by the doctor to ensure safe delivery. If the woman has already suffered a spontaneous abortion due to ectopic pregnancy then also travelling is not a good idea. Besides these, there could be other reasons why your doctor might forbid any travel during pregnancy. In case none of these complications exist, your doctor might allow you to travel during pregnancy. Most doctors permit travel in the second trimester, but may ask you to avoid it during the first and third trimesters. Luckily for you, if you have a healthy pregnancy and are about to travel, follow these tips to ensure that you are better prepared. DO pack your medical file containing your latest ultrasound report, your prescription and prenatal records. DO consider getting travel insurance to make room for any complications. DO share your doctor’s contact details with the people travelling with you. DO ask your doctor about any immunization you need. DON’T use any new medication purchased in a foreign nation. Pack all necessary medications and also some ORS sachets and antacids; wear roomy, comfortable shoes to accommodate any swelling and wear loose fitting clothes. Request an aisle seat (to make running to the washroom every 10 minutes easier) and a seat near the exit (the extra room gives you more leg space); ask to be searched manually or by wand instead of the scanning machine. Wear your seat belt constantly. Do ankle and leg stretches during long flights to avoid the risk of swelling in the feet and, more seriously, clotting due to high cabin pressure. If possible, walk around after every hour. Most importantly, don’t hesitate in asking for assistance if you feel nauseous, dizzy and disoriented. Travelling by air could be uncomfortable for women in their third trimester as many airlines do not have special arrangements for them. Plus, you might feel a little uncomfortable moving around. The most important thing is to remember not to put your unborn child at any unnecessary risk. Read, listen to music, think calming thoughts and catch up on some sleep. If at all you feel the need, visit a doctor upon landing. Whether you need to drive within the city or to another destination, always keep a copy of your prenatal records in the car. Carry a working mobile phone and preferably turn on GPS (if possible) to make tracking easier. Always keep your seat belt latched under the belly. Push the seat all the way back if you are the passenger. Drink plenty of fluids, especially if you are travelling in pregnancy on a hot day and keep munching on something to avoid nausea. Stop occasionally and stretch your ankles and feet. Keep a small pillow between your back and the seat to avoid back pain later. If there is even a minor accident, check if you have any contractions or bleeding and consult a doctor as soon as possible. After a long journey, try to get some rest before anything else. Rehydrate the body and have a light snack. Avoid another long journey without having ample rest. Though car travel is safe, but there is always the possibility of sudden jerks and stops. If the roads are bad, you are sure to have an uncomfortable time. Intra-city car travel usually poses no bigger problems than nausea and can be done easily with a little extra care. Keep your prenatal records and prepare a diet chart of things you can and cannot eat from the ship’s kitchen. Check the entire schedule of the cruise, including duration between port stops. Check and verify safety measures on the vessel. Consult the Center for Disease Control and Prevention office to check that the vessel has cleared all inspections, if in USA. Or check with any other respective prevention control offices of the country you chose for cruising. Don’t stay on the deck for too long to avoid sunburn and overheating. You have a lot of space for walking – take 30 minute walks daily. Avoid eating seafood as it contains methyl mercury that can hamper fetal brain development. Avoid slippery places where you can slip and fall. Avoid having local food at port stops. Avoid swimming in common pools to avoid risk of infections, opt for a private pool or Jacuzzi instead. Avoid all kinds of water sports and adventure sports. As soon as you disembark, visit your doctor for anything that troubled you on the voyage. Book a ticket on the train with the least amount of stops. Pack a cushion or pillow to support your back. Try reserving a lower berth so it easier to rest. At the platform, try seeking help to get your luggage on board. If you are travelling by chair car, inform the TTE of your condition and ask to be given a seat close to the washroom. Avoid travelling alone, if possible. Don’t try to board a moving train! Rest your legs, feet and back as much as you can. Avoid buying eatables from vendors, buy fresh fruits instead. Don’t disembark at train stops; try not to move between two coaches or use the washroom while the train is moving. Flex your legs and walk around every now and them to prevent swelling in the legs and feet. Allow others to get off first to avoid the rush. Ask a porter to unload your luggage. Be wary of slippery steps while disembarking. Those who are travelling to developing countries need to be vaccinated against typhoid. However, some vaccines are harmful for the developing fetus. Some vaccines are unsafe because they have not been tested on pregnant women. Generally all live viral vaccines like mumps and measles should be totally avoided during pregnancy. Some vaccines for yellow fever can be administered under doctor’s supervision after the first trimester. But it is not safe to travel to developing countries during pregnancy, especially if your immune system is not very strong. Keep all travels reserved for post pregnancy. If you are aged above 35 years and you happen to be first time pregnant it is best to avoid travel. It is better not to travel to tropical countries during pregnancy since pregnant women can come in to contact with malarial infection due to bite from a mosquito. Since malaria increases the risk of stillbirths, miscarriage and premature labour. Also anti-malarial drugs like doxycycline are potentially harmful for the baby. So avoid travelling to malaria prone areas. Restricted movement inside the bus, car, plane or any other mode of travel during pregnancy can cause deep vein thrombosis. (DVT) or clots in the deep veins of the legs. These clots can circulate and can lodge in other parts of the body like lungs. The risk of deep vein thrombosis increases if you are obese, had DVT in the past or have a family history of DVT. Deep vein thrombosis is very common and it becomes more acute with long distance travel. If this travel plan is very important and can’t be avoided, it is best to wear elastic below knee compression stockings, discuss your travel schedule with your doctor and write down a list of do’s and don’ts and follow them strictly. Do frequent leg exercises, if you are travelling by plane then walk inside the aircraft to ensure proper blood circulation. Also avoid dehydration but avoid caffeine and alcohol entirely. Travelling during a healthy pregnancy is no problem at all if you take all possible precautions.The second trimester is the safest time to travel if your doctor grants you the permission to travel. But above all, remember that no journey or voyage, for any reason whatsoever, is worth more than the safety of your unborn child. Therefore, follow your doctor’s instructions while planning a journey. When in doubt or when the travel plan can be postponed, always schedule it after the baby has arrived. So have a safe and happy pregnancy. 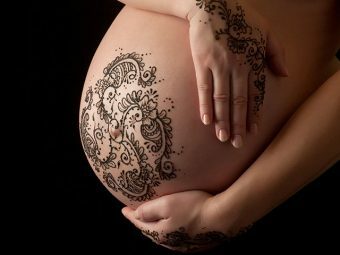 Don’t forget to enjoy yourself during pregnancy, despite all problems it is the best time for any women, and you will cherish these sweet and fond memories of pregnancy later.